Professor at the Faculty for Humanities and Social Sciences in Zagreb, Croatia. He was the head of several scientific research projects, a member of various editorial offices and consultations of philosophical journals and on several occasions a member of the Board of Directors of the Croatian Philosophical Society and from 2009 to 2011 the president of the HFD (CPS). Doctor Veljak is a member of the Board of Philosophy and Theology at the University of Zagreb. holds a PhD in Communication Studies from Murdoch University, Australia. His interests range from creative arts to intercultural communication, information and communication technologies. Currently he works at Melbourne SBS Radio, Australia (sbs.com.au). 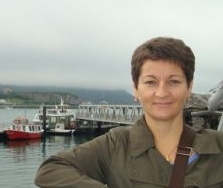 Suzana Marjanić (1969) is on the staff at the Institute of Ethnology and Folklore Research in Zagreb, where she realises her interests in the theories of ritual and myth, animal studies and the anthropology of performance (art). As part of the post-graduate programme in Literature, Performance Art, Film and Culture at the Faculty of Humanities and Social Sciences in Zagreb (Course Head: prof. dr. sc. Boris Senker and prof. dr. sc. 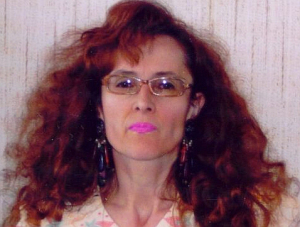 Nikica Gilić), she held the course “History of Croatian Performance Art”. She graduated from the Department of Performing and organizing cultural and artistic activities of the Faculty of Dramatic Arts in 1988. , and the Department of Philosophy, University of Belgrade in 1992. Master is the Theatre (1993) and doctor of philosophy degree in the fields of contemporary philosophy and aesthetics (1998). The year 2006. was elected to the position of associate professor, and 2011th Full Professor. The editor of the edition Clio Multimedia publishing house from Belgrade, deputy chief editor of the journal Culture (Theory and Sociology of Culture and Cultural Policy), and editor of the Proceedings of the Institute of Theatre, Film, Radio and Television Faculty of Dramatic Arts in Belgrade. President of the Association of Citizens for art, culture, media, and social issues “Young peas” from Belgrade. Member of the Executive Board of the Aesthetic Society of Serbia, and a member of the Slovenian Society for Aesthetics and the Serbian Philosophical Society, member at the Humanities Nansenskolen (Lillehammer), and an honorary member of the International Association for Philosophical Counseling (New York). 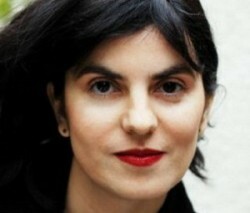 Vesna Srnić is professor of Art History and Comparative Literature. She teaches ‘Multi/Media culture’ at The Croatian Faculty of Teacher Education in Osijek, department in Slavonski Brod, and has been teaching “New Media Genres” at the board of The Faculty of Culturology in Osijek (Croatia, Europe) during 2010. (http://kulturologijaosijek.ning.com), as well as “Media Theory” at Academy of Art in Osijek. Vesna Srnic defended her interdisciplinary doctoral theses „Electronic media and Aesthetics in Postfeminist Theory“ at the department of Philosophy of the Faculty of Humanities and Social Sciences in Zagreb, in September, 2011. As a president of Association “Culture, Media and Education”-ARTHEA, Doctor Srnic initiated a project “Glocal Multimedia Culture” under the protection of Croatian Ministry of Culture, referring to aesthetical/ethical revolt against the corruption. The project was elaborated at the social network Glocal-Art (http://glocal-art.ning.com , https://www.facebook.com/groups/glocalart ) in June 2012, then at the round-table conference and finally at the urban performance under the town sqare display where the several video art works were displayed. Performances are organized continuously every year as the tenable project “World Image and performativeness of glocal consciousness”. He gained Ph.D. degree as Pedagogue at the Faculty of Philosophy, University of Zagreb in 2008. He defended dissertation “Possibility of becoming teacher – action researcher through e-learning.” From May of 2005 he was hired as an assistant at Department of Pedagogy at the Faculty of Philosophy, Josip Juraj Strossmayer University of Osijek. His main professional interest is connected with introducing changes in an educational practice whose aim was to break from the boundaries of traditional teaching. Related to that he endeavors to affirm an idea of action research in Croatian educational context. In addition he puts the emphasis on development of teachers’ and students’ creativity and creative approach to science. He also tries to affirm using web-based technologies in professional development of teachers and high-school teaching. Doctor Gojkovic is a psychiatrist in the Hospital “Dr. Josip Bencevic” in Slavonski Brod. 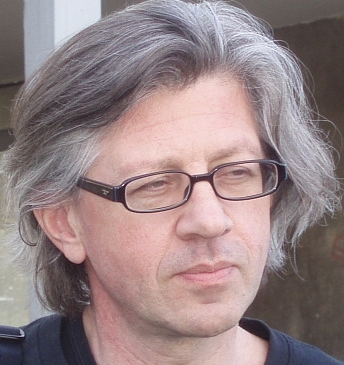 He writes poetry, essays, critiques as well and acts as a cultural animator in Slavonski Brod. Teacher of English language and literature at Secondary School of Economics in Slavonski Brod, with Masters degree obtained in 2005 from Faculty of Humanities and Social Sciences, University in Zagreb, in the area of American Studies. Her MA thesis was: „The role of the working woman in the plot of American film in the period 1980-2003“. She is a member of Executive comittee of HUPE and Slavonski Brod branch president as well.